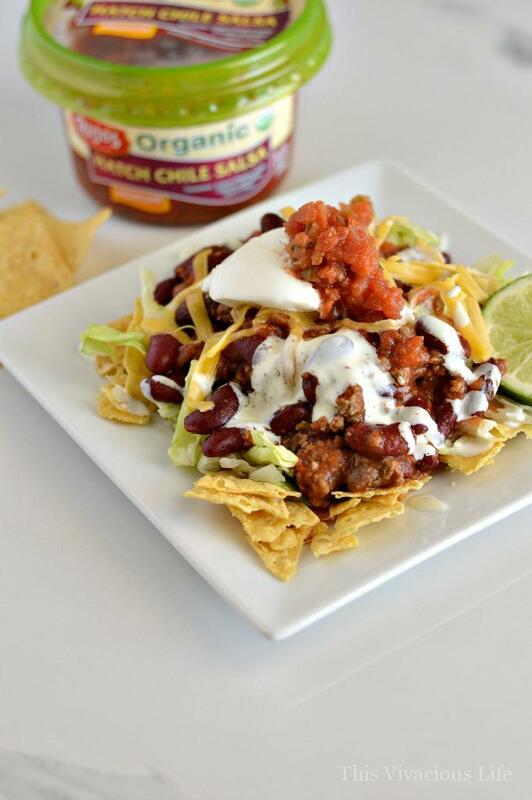 This crockpot Mexican goulash is easy to make and is a dinner the whole family will love. Plus, it is perfect for Cinco de Mayo! Weeknight dinners can be a challenge to make in a flash but this crockpot Mexican goulash is fast and so delicious. I love making crockpot Mexican goulash because it is so simple. It reminds me of the meals my mom made when I was a little girl. Mexican goulash was always a go-to for her but she used canned chili con carne. This was before we were diagnosed with celiac disease. Now that I can’t eat canned chili con carne, I had to get creative on how to recreate this dish without having to make a chili that took hours. I decided that using some leftover ground beef, canned beans and some super flavorful Rojo’s salsa would achieve what I needed. Their salsa is great because it adds tons of flavor without extra fat and calories. It made it easy not to have to add a bunch of spices, saving me precious time. 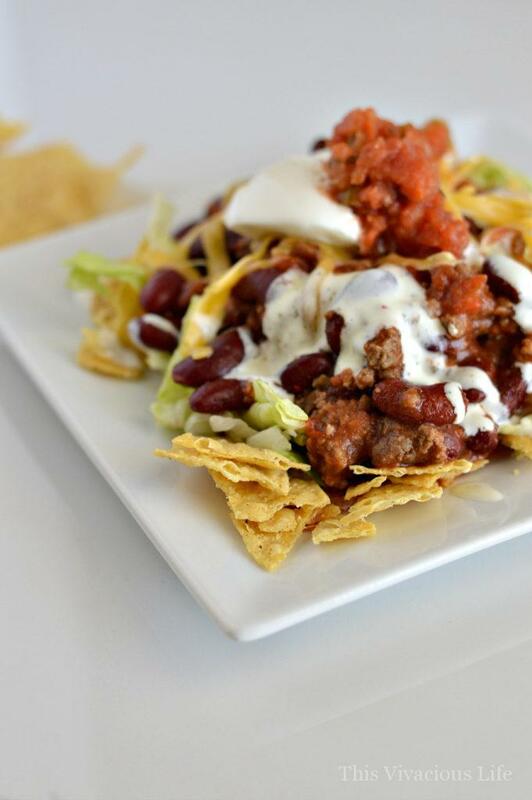 So here it is, a super easy crockpot Mexican goulash that even the kids will love. You can layer it with whatever things you want but we like to start with corn tortillas crunched up and shredded lettuce. Next we add the chili then top it with freshly grated cheese, more fresh salsa and some sour cream. If I really want to jazz it up, drizzle some ranch and lime juice over top as well. 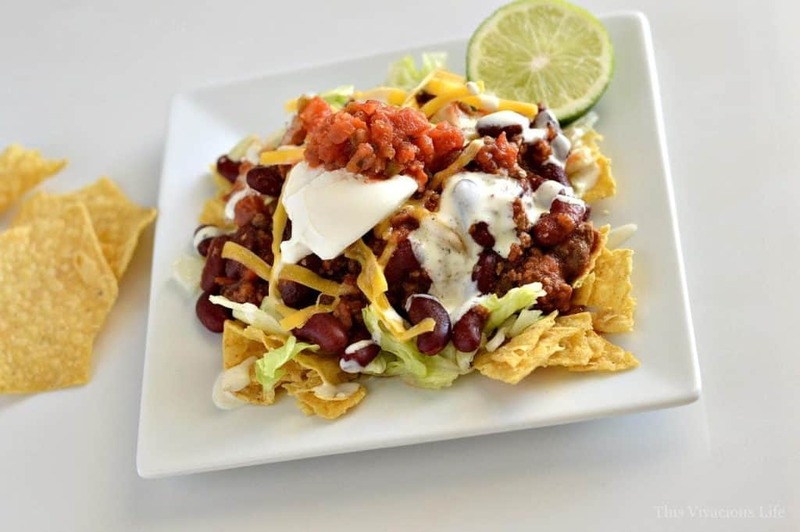 This meal is a great way to use your leftover ground beef after taco night as well. Of course you can always cook it up fresh that day but I personally like to make this meal as easy on myself and that includes using cooked, leftover ground beef. I chose to use Rojo’s salsa because it is both delicious and widely available. 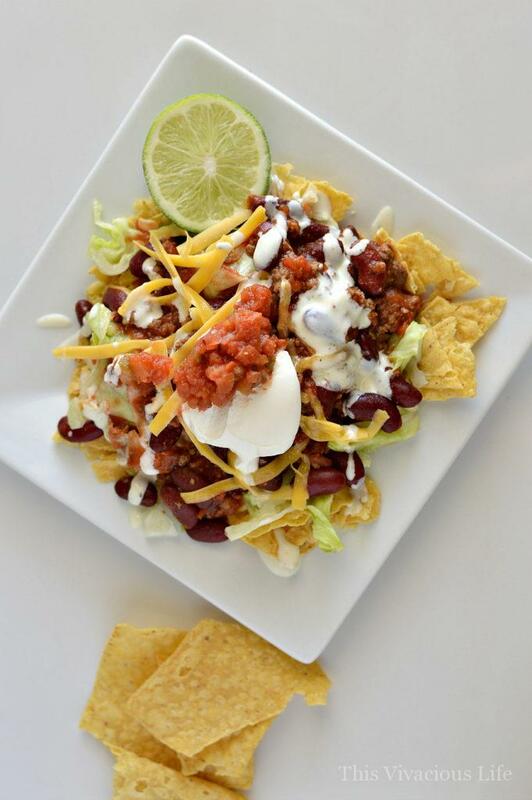 They offer a complete line of fresh, restaurant-quality, refrigerated salsas and dips. We loved their bean dips! Remember when we used their delicious mango chipotle salsa in Polynesian pulled pork tacos? The best thing is that unlike jarred salsas, Rojo’s artisan-crafted salsas are made in small batches. I personally love that they use premium, fresh-cut ingredients in create great, homemade taste and freshness. 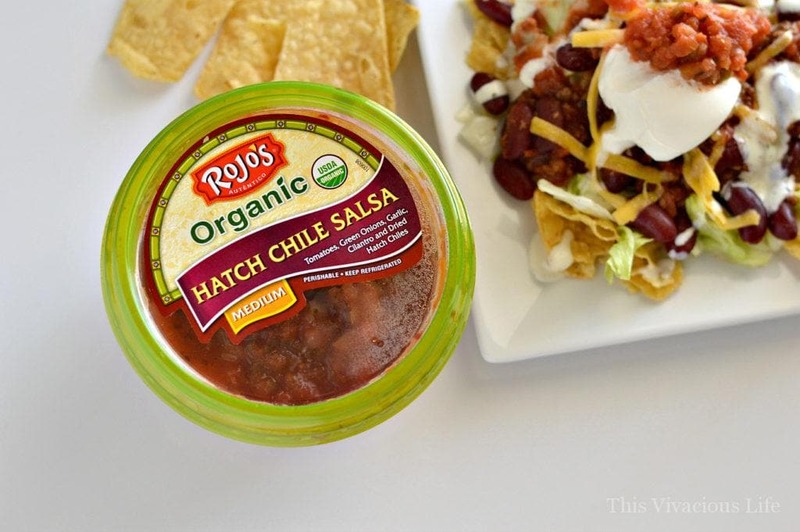 Did you know, Rojo’s has been the leading maker of refrigerated salsa for nearly 30 years? They took a time-honored, family recipe to bring authentic flavor to every salsa variety. Each variety has so many complex flavors that marry well together and taste great! Rojo’s is also cold-processed and never cooked, this helps to ensure unparalleled freshness. This brand of salsa has to be one of the closest to the fresh homemade that I have ever made. *Thank you to Rojo’s for sponsoring this post. Thanks for the crock pot idea Chandice! I like to cook a big batch of this type of mixture and keep it on hand, but I’ve never tried cooking it in the crockpot. That would make it even easier. It is good not just with chips, but also on baked potatoes, rice, noodles/spaghetti squash or even salad greens. Thanks Genie, I love those suggestions for topping it with too!! 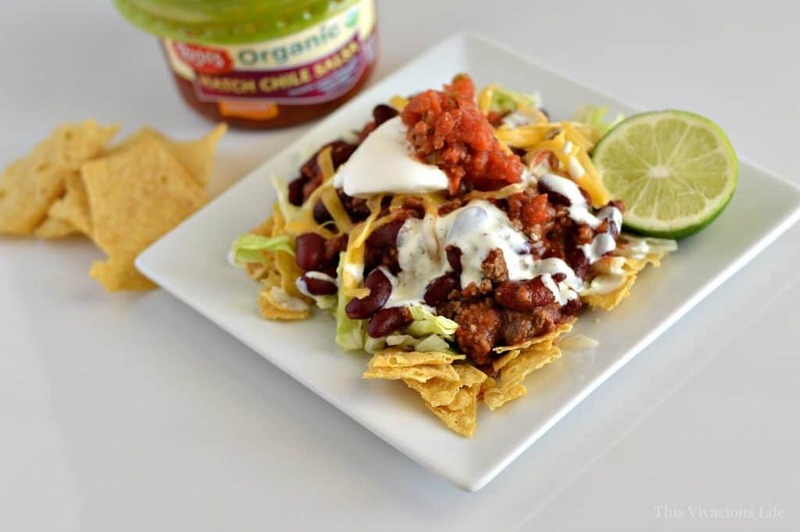 I’ve never heard of Mexican goulash, but this looks like the perfect comfort food with chips!